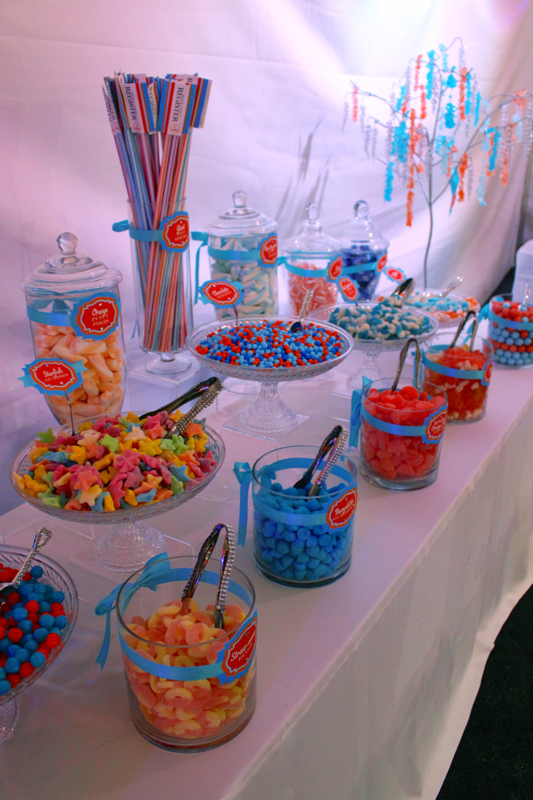 Our exclusive B.CANDY Bar is the perfect addition for any occasion! Our completely customizable edible displays come ready to serve. If you think it, we can make it! With the freshest goodies delivered straight to your event, we will do our best to make sure any theme you dream up can be transformed into a tasty reality. 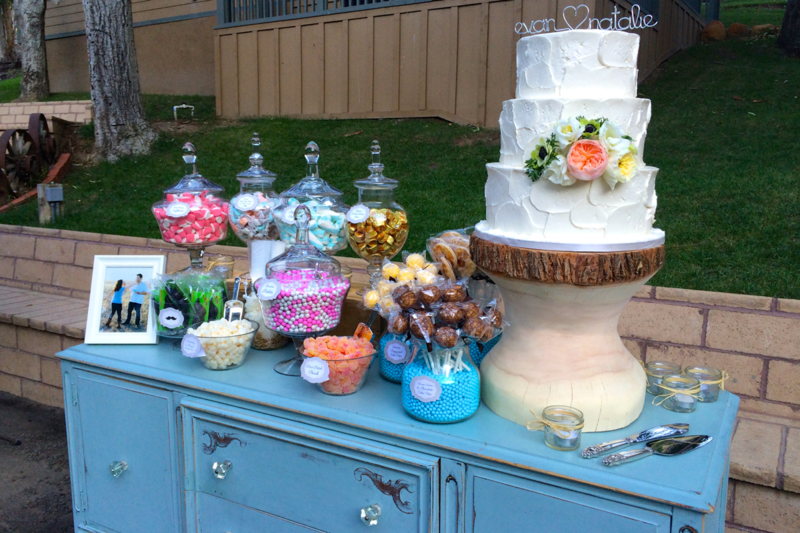 Our dessert bar features a wide variety of custom treats—cupcakes, cookies, cakes, brownies, cake pops—distinctively designed for your event. 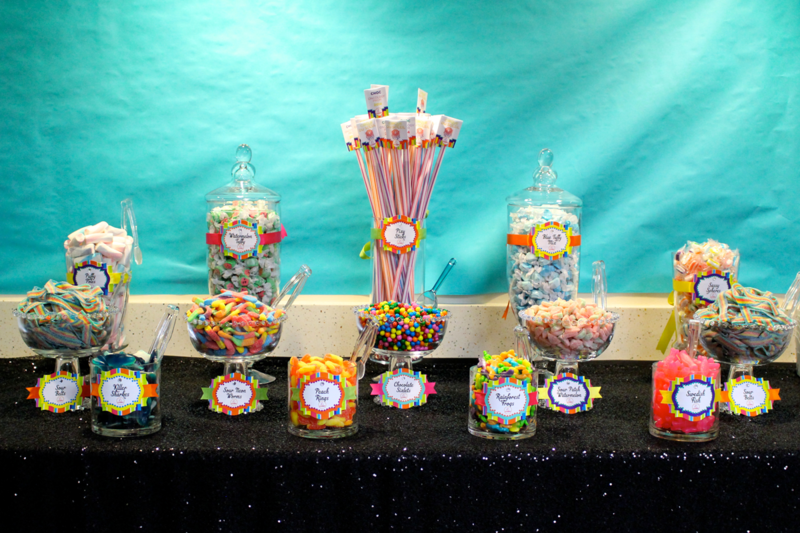 Custom labels and imaginative table decor complete the set up; a display your guests are sure to remember! 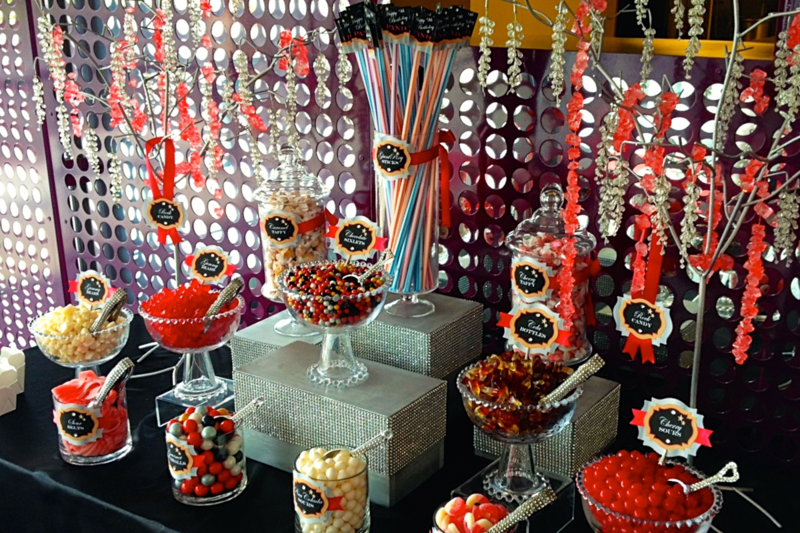 With our sugar free and Kosher Parve options we can meet your special requests. Birthday parties, bar and bat mitzvahs, graduations, fundraisers, weddings, bridal showers, baby showers – we’ve got you covered! 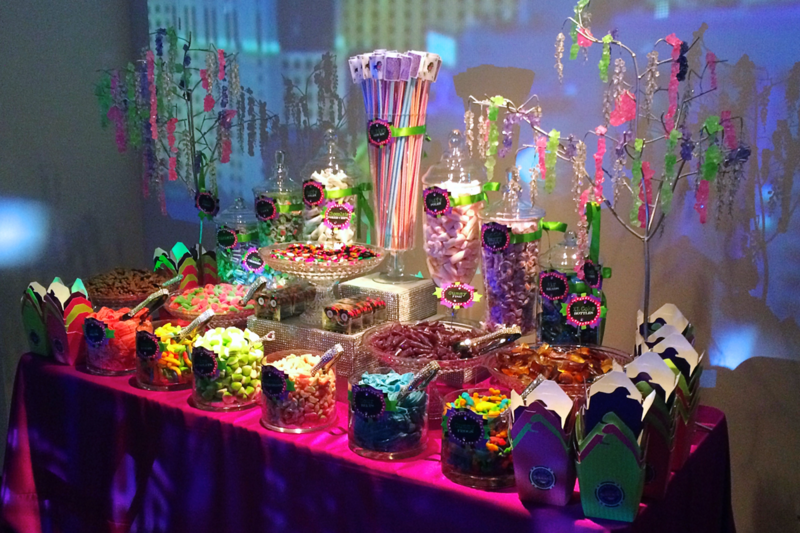 At B.CANDY, we think your celebration should be as unique as you are. 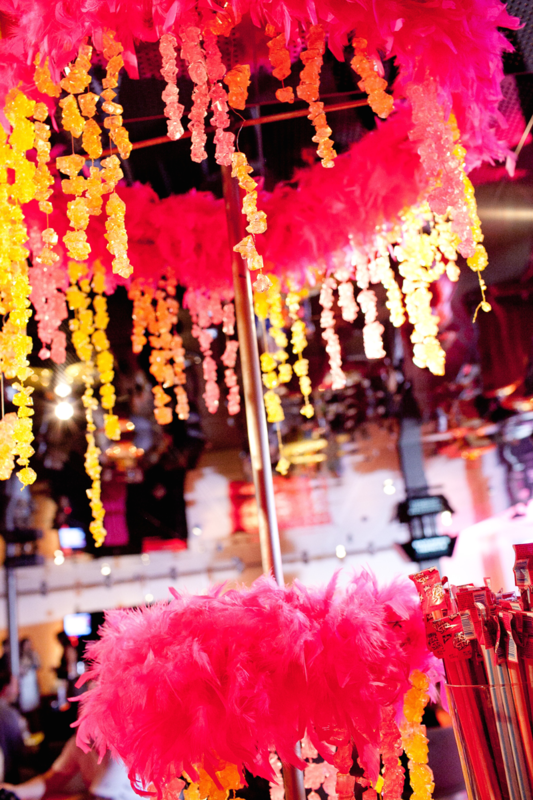 What is your event's theme/color scheme? Which candy bar are you interested in? The Original B.CANDY Bar is currently unavailable.